The three measures we discuss in this section are probably the best known and most widely used of all financial ratios. In one form or another, they are intended to measure how efficiently the firm uses its assets and how efficiently the firm manages its operations. The focus in this group is on the bottom line, net income. This tells us that Prufrock, in an accounting sense, generates a little less than 16 cents in profit for every dollar in sales. All other things being equal, a relatively high profit margin is obviously desirable. This situation corresponds to low expense ratios relative to sales. However, we hasten to add that other things are often not equal. For every dollar in equity, therefore, Prufrock generated 14 cents in profit, but, again, this is only correct in accounting terms. Because ROA and ROE are such commonly cited numbers, we stress that it is important to remember they are accounting rates of return. For this reason, these measures should properly be called return on book assets and return on book equity. In fact, ROE is sometimes called return on net worth. Whatever it's called, it would be inappropriate to compare the result to, for example, an interest rate observed in the financial markets. 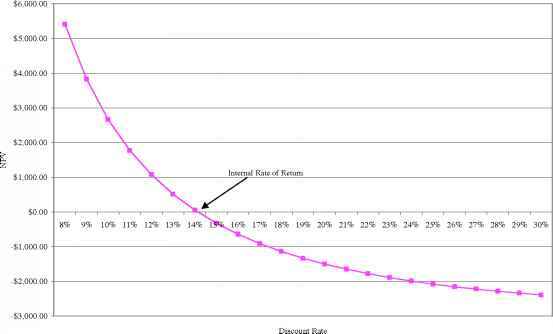 We will have more to say about accounting rates of return in later chapters. The fact that ROE exceeds ROA reflects Prufrock's use of financial leverage. We will examine the relationship between these two measures in more detail next.